So, I’m still experiencing internet issues and have to do a lot of things on my phone, so the 10-year flashback article has been shifted to next week. Want to join the fun though? We’ve had so many amazing posts from people showing off their progress and next week I will be posting a heap of them for all of you to marvel at. If you want to see what people have posted so far, click on over to the forums. 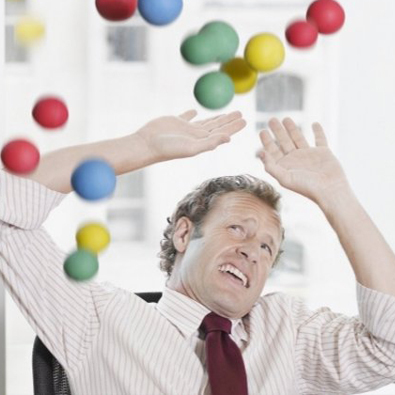 With that done and dusted, let’s talk about juggling all the balls. I won’t lie. I’m pretty sure I have dropped a few of the metaphorical balls over the past couple of weeks. I’ve been moving house, along with putting up with the exhaustion that goes with that, starting new projects and of course, working. So here are some tips and tricks I have used to at least keep some of them in the air. Everyone is different but between 7-8 hours is a good amount of sleep. That, I am not getting at the moment, because I am going to bed late and waking up at the same time every morning which is EARLY. Seriously, when am I going to learn? Learn your natural bedtime and stick to it. Mine is 11pm-7.30am. Generally, when I make that routine, and I am pretty functional. But there are times you need to break that, such as when Kingdom Hearts 3 is out and you’re finally getting to the good bit. Don’t do this for too long. The max should be three days. After that, you’re looking at stressing out your body and tired hands cannot juggle or draw for that matter. I am the worst for this. I have a day off and I begin pacing. I always feel like there is something I should be doing. I have found scheduling a day off for myself circumnavigates this issue. I don’t feel guilty as I have promised myself this time. I feel better giving my brain time to do something else, like quilting, walking or reading up on comics I am behind in. I find it to be like a soft reset and I am much more in the mood to work. How do you deal with all the craziness in your life? Do you manage your obligations well or do you struggle? Let us know in the comment section below. And join us on Sunday evening for our Quackchat at 5:30PM(EST)! Excellent post and advice once again! I imagined you as someone who WAS born with endless energy! So that was a surprise!